hmmm well at least its not americans getting europe confused. this time it is bbc...go britain! What the hell were they trying to point out in the first place? Besides the fact that Finland isn't as independent as it thinks, I mean. This wasn't worth the twitter disturbance. 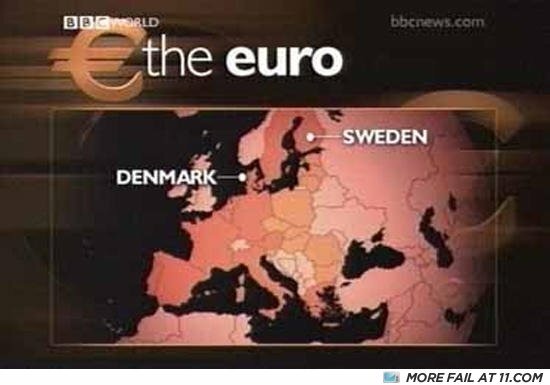 They marked Finland as Sweeden... Sweeden is actually the red area directly north of Denmark, just across the water. What do you call an anorexic with a yeast infection?